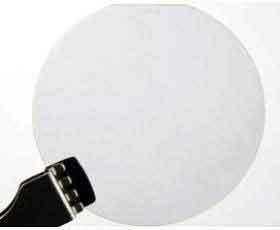 GaN/AIN/SiC epitaxial wafer consisting of GaN layer on AIN layer on 6H silicon carbide. 50mm in diameter on-axis, n-type. GaN thickness ~(0.5-0.8) um. AIN thickness ~0.1um. 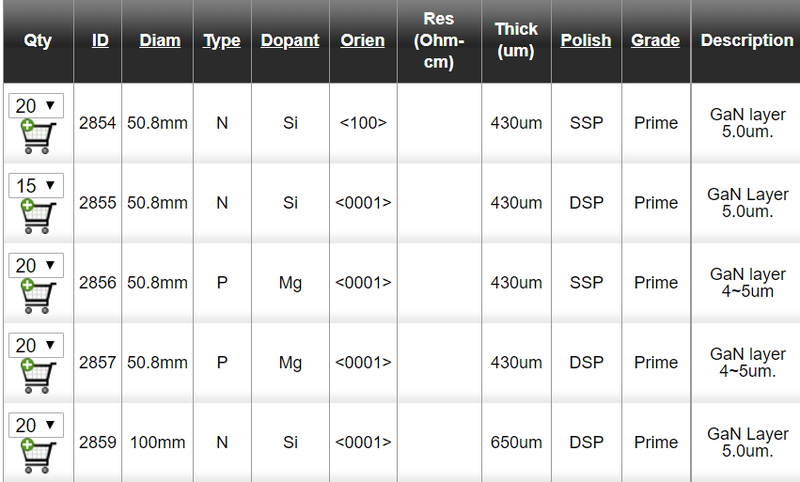 GaN/AIN/AI2O3 epitaxial wafer consists of GaN layer on AIN layer on sapphire. 50mm in diameter, on-axis, n-type, GaN thickness ~(0.5-0.8) um, AIN thickness ~0.1 um. Please let us know what specs we can quote for you!